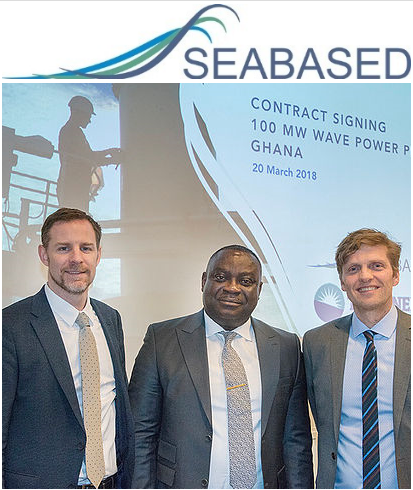 Our Projects, Construction and Energy team were delighted to act exclusively for Swedish company Seabased AB (the global market leader in scalable wave energy parks) in relation to a bespoke supply and installation contract to deliver a wave energy plant near Ada, Ghana. The 100MW park is one of the first and largest commercial contracts in this fledgling cutting edge industry. “We were engaged at a project conceptual stage right through to the signing of the contract last week in Brussels. This deal demonstrates LK Shields' unique and diverse offering in what is a very exciting new sector. We look forward to working with Seabased on further international projects." Seabased signed the project agreement at a special ceremony in Brussels on 20 March 2018. Further coverage of the event is located here. The LK Shields Dublin based team was led by Partner Richard Curran and Associate Solicitor Jamie Ritchie along with Consultant Seanna Mulrean.